Shoviv OST to PST converter is the most reliable and trustworthy solution which not only recovers damage OST emails but is also efficient in storing permanently deleted OST emails. The software is available with the user-friendly interface for the novice as well as technical users. The powerful algorithm of OST to PST Converter software exports multiple offline OST files regardless of its large size and bulky mailbox. Conversion of offline Outlook OST files in damage stage instantly. Exporting all OST email data into PST file format. Feasible migration of OST to Live Exchange and Office365. Support all version of MS Outlook including the latest version of Outlook 2016. Oversize OST files can be saved into small multiple PST files after conversion. User friendly access to export OST emails into PST file formats. Maintaining hierarchy of OST files after the conversion is done. Splitting Oversize OST files into multiple PST files formats using split option. A highly advanced and powerful algorithm to convert OST to PST. Recover multiple OST emails from the mailboxes at a single instant regardless of the large files and damage formats. Recover damage OST files while accessing in the process of conversion. Before converting OST to PST file format, the users are allowed with to preview option of the OST data recovered. Through, preview option the users can ensure the accuracy, efficiency, reliability of the software whiling keeping a track of their OST emails and attachments. 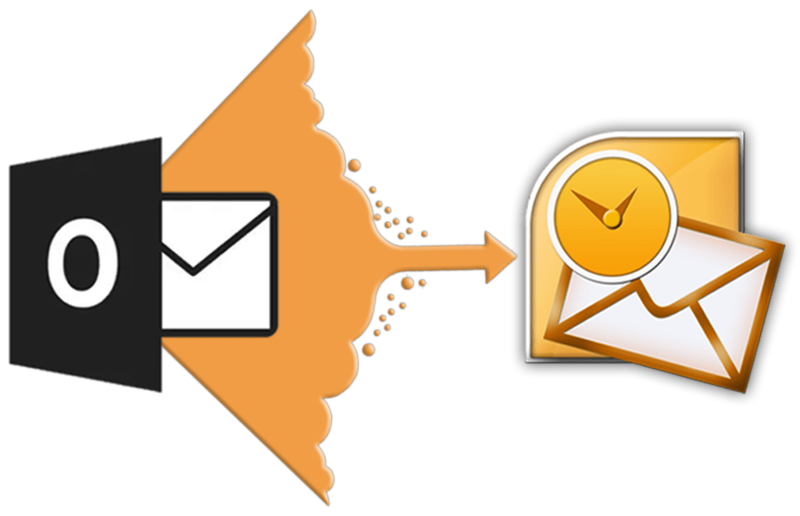 The enhancement scanning mode to convert OST to PST assure full recovery of the suddenly deleted mailbox items such as emails, attachments, journals, notes, calendars, etc. The software is also capable of efficiently scan mailbox using its features automatically for the deleted mailbox. The OST to PST Converter comes with the additional features which allow you to export OST to Office365 with an easy access. While exporting into Office365, the software works towards retaining the emails and attachments from OST mailbox. Exporting OST to Live Exchange is an easy and swift task with enhanced features of OST to PST Converter. The software allows a feasible and proficient migration of OST mailbox to Live Exchange server without any alteration in its original data. With OST to PST converter software the users do not have to worry about the ways to convert large OST to PST. As the software allows a swift conversion of unreachable emails without damaging the quality of emails and associated attachment that will be further saved in PST file format. The software to convert OST to PST maintains the structure of all the OST files and folder structure of email content while conversion takes place without degrading it. Hierarchy maintenance and undamaged properties with the management of properties for each and every email contents is another feature of the software. The additional and profitable features of this software are allotted with the option to PST split file. The OST files to divide into multiple PST files using the split option. The Split option also allows the user to choose the size of converted PST files and produce the similar number of files as per the size as mentioned by the user. The OST to PST Converter software is not only capable of converting OST to PST but its high algorithm allows the users to export OST data to other file formats such as HTML, EML, VCAL, VCard, MSG with an ease and efficiency. When the OST email data is converted into PST file format, the accuracy of the tool will be shown by maintenance of metadata properties like subject, to, cc, draft, notes, and send without damaging the original structure of data. The software has a reliable and trust-worthy algorithm which allows the users to convert OST to PST file format in any version of MS Outlook and the users does not have to worry about the type or version of Microsoft window to use while conversion process as the tools of this software can successfully support old to new mode of Windows OS. The OST to PST converter software provides a cost-free demo version to its users which give assurance about reliability, efficiency, and quality of the product. The cost-free mode allows the users to convert first 25 items so that users can be assured and can buy the full version of the product after satisfaction. © 2019 www.ostmailrecovery.com. All Rights Reserved.